The measurement of the spatial profile of root elongation needs to determine matching points between time-lapse images and calculate their displacement. These data have been obtained by laborious manual methods in the past. Some computer-based programs have been developed to improve the measurement, but they require many time-series digital images or sprinkling graphite particles on the root prior to image capture. Here, we have developed GrowthTracer, a new image-analysis program for the kinematic study of root elongation. GrowthTracer employs a multiresolution image matching method with a nonlinear filter called the critical point filter (CPF), which extracts critical points from images at each resolution and can determine precise matching points by analysis of only two intact images, without pre-marking by graphite particles. This program calculates the displacement of each matching point and determines the displacement velocity profile along the medial axis of the root. In addition, a manual input of distinct matching points increases the matching accuracy. 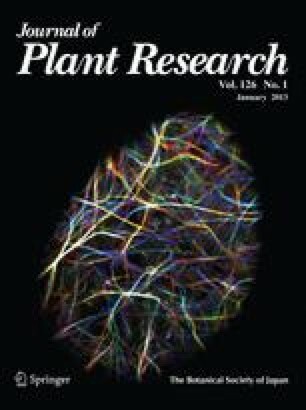 We show a successful application of this novel program for the kinematic analysis of root growth in Arabidopsis thaliana. GrowthTracer was developed by FrameFree SDK (MONOLITH Co., Ltd.), which is a software development kit for computer programs using the image matching method based on the critical point filter (CPF) theory (FrameFree Technology, MONOLITH Co., Ltd.). FrameFree is a registered Japanese trademark of Monolith Co., Ltd. Trademark application for FrameFree is pending in the United States Patent and Trademark Office. FrameFree Technology was developed by Monolith Co., Ltd. using the CPF theory (Shinagawa and Kunii 1998) and patented by Monolith Co., Ltd. (Patent numbers; JP2927350, USP6018592, USP6137910, USP6347152, etc.). A fully-functional trial version of GrowthTracer is available from the corresponding author (akitoshi@u-gakugei.ac.jp). GrowthTracer only runs on Windows XP or Vista. The online version of this article (doi: 10.1007/s10265-012-0523-5) contains supplementary material, which is available to authorized users.